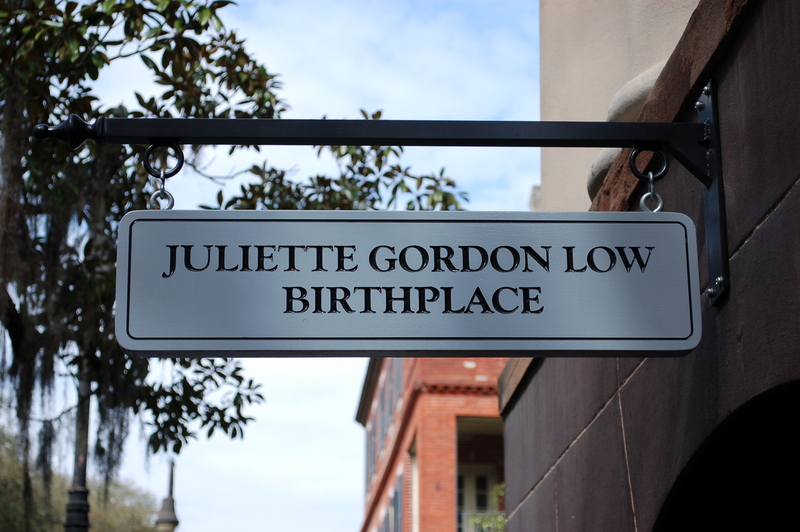 While in Savannah, Ga., we visited the birthplace of Girl Scout founder Juliette Gordon Low. 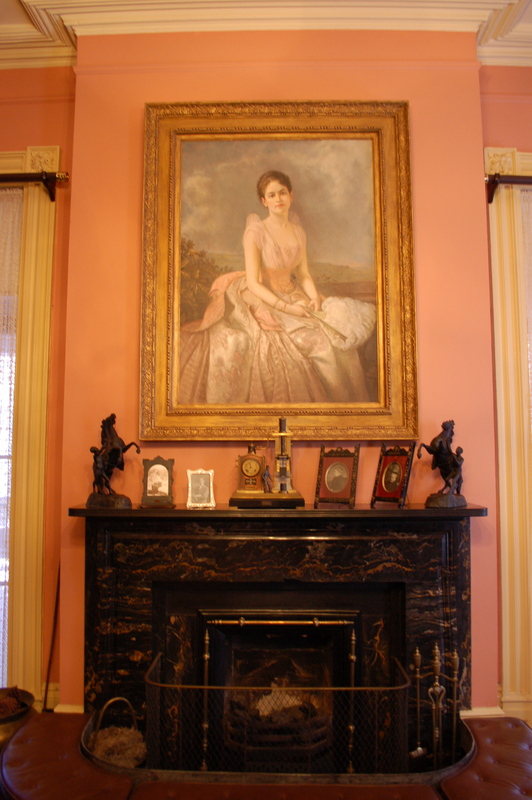 The house is regal and you can tell that her parents, the Gordons, were Savannah socialites. Luckily we visited the house at a momentous time — the 100th anniversary of the Girl Scouts! In the 1950s, after Low’s passing, the house was scheduled for demolition, but just in the nick of time, local Girl Scouts came to the rescue, raising money from Girl Scout troops around the country to save the house. Young girls around the country sent in their “Dimes for Daisy,” and saved the old mansion. The house now stands tall and proud, drawing in more than 17,000 Girl Scouts from 90 countries around the world. 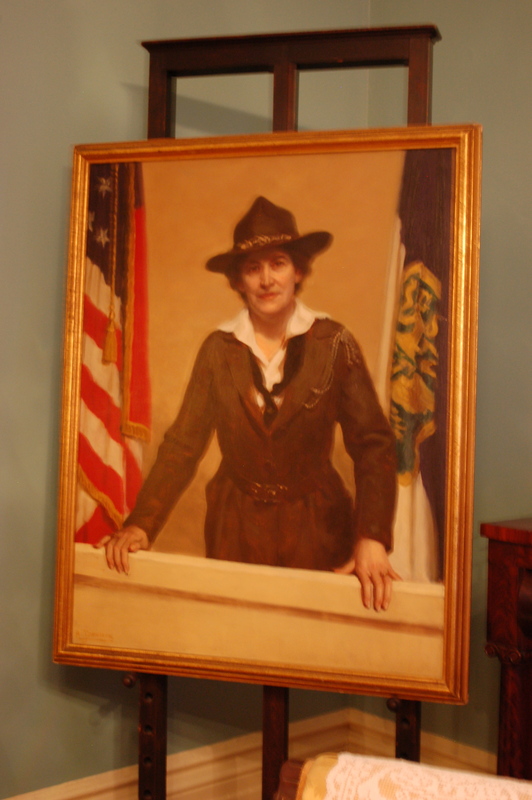 This is a print of a young Juliette Gordon Low. The original hangs in the National Portrait Gallery. 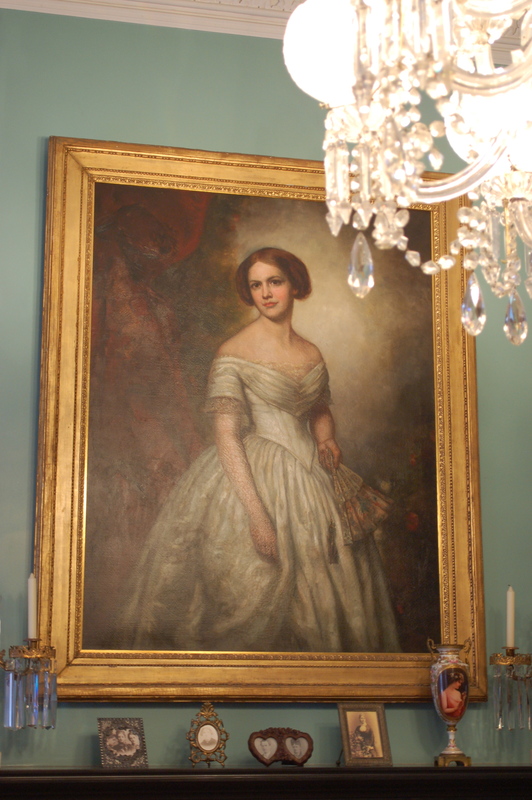 This is a portrait of Juliette’s mother, Eleanor Kinzie Gordon. Eleanor was from Chicago and at one point “dated” General Sherman before the Civil War. Our tour guide told us a funny story about General Sherman visiting the Gordons. Juliette (AKA “Crazy Daisy” to her family) apparently climbed into his lap and was looking at his head funny. Sherman asked her what was wrong and she asked him where his horns and tail were. He asked what she meant and she replied, “Well, aren’t you that old devil Sherman?” General Sherman traveled around speaking after the Civil War and told stories about “Crazy Daisy” and her mischievous remarks. This was long before she became famous. This is a picture of Juliette Gordon Low in her uniform. Although a socialite and lover of fashion, you would find her proudly wearing her Girl Scout uniform. 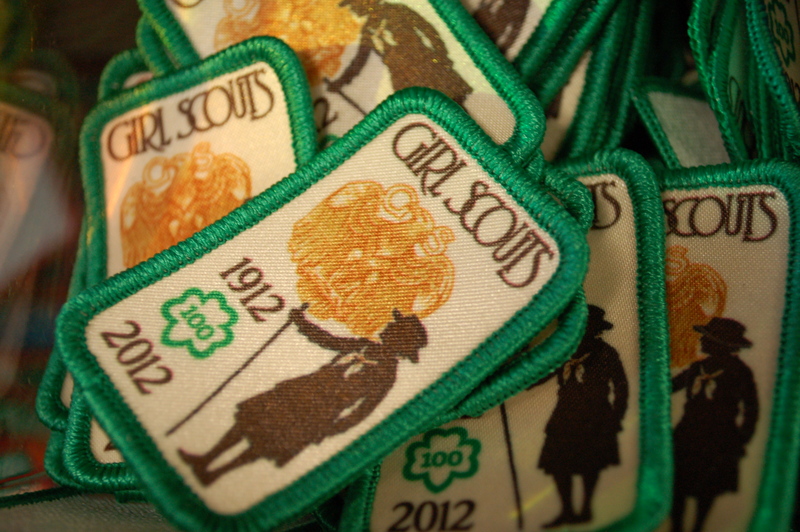 Girl Scout patches in the gift shop, celebrating 100 years of Girl Scouts. 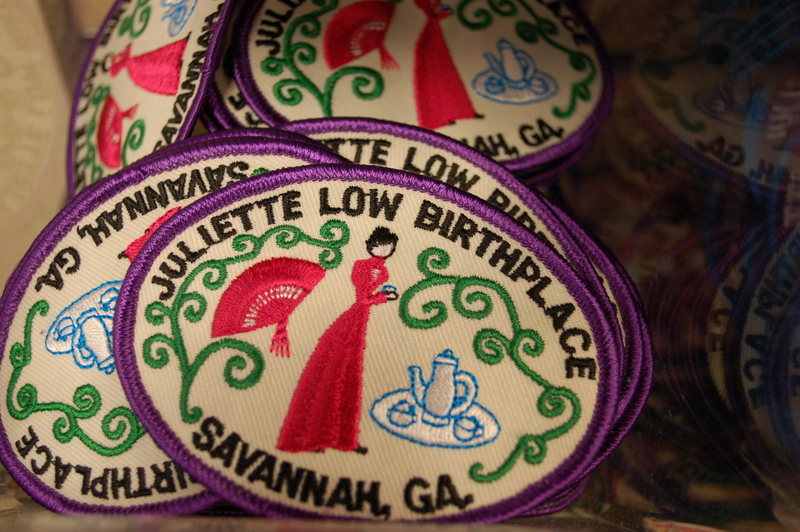 Patches for Juliette Gordon Low’s birthplace also sold in the gift shop. I always wanted to be a Girl Scout and seeing these patches made me remember how I lusted after the green uniform and colorfully embroidered patches when I was in elementary school. I was a Brownie, and even though I (think I) earned quite a few patches, my mom was always one of those eternal procrastinators who promised to sew them all my sash and never did! So I’m sure they’re all collecting dust in a box somewhere. Ah, man! Yeah, I did ballet, tap and jazz growing up — so, unfortunately we couldn’t squeeze it in to my schedule. I remember all the Brownies and big Girl Scouts meeting after school. I wanted to be one!